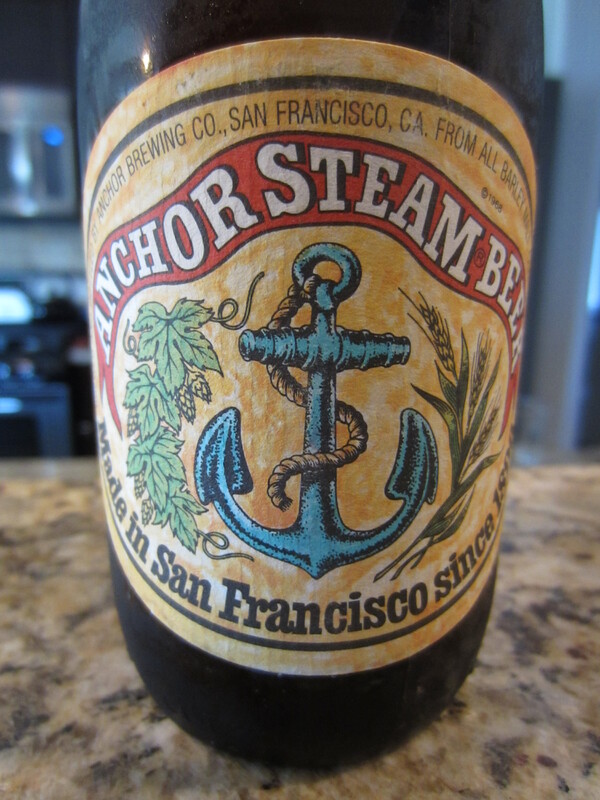 “Anchor Steam® Beer owes its deep amber color, thick, creamy head, and rich, distinctive flavor to a historic brewing process like none other. Purchased from Das Bierhaus in Fresno, California. Poured from a 12 oz bottle into a pilsner glass. The body is remarkably clear, with a nice amber/apple juice color. 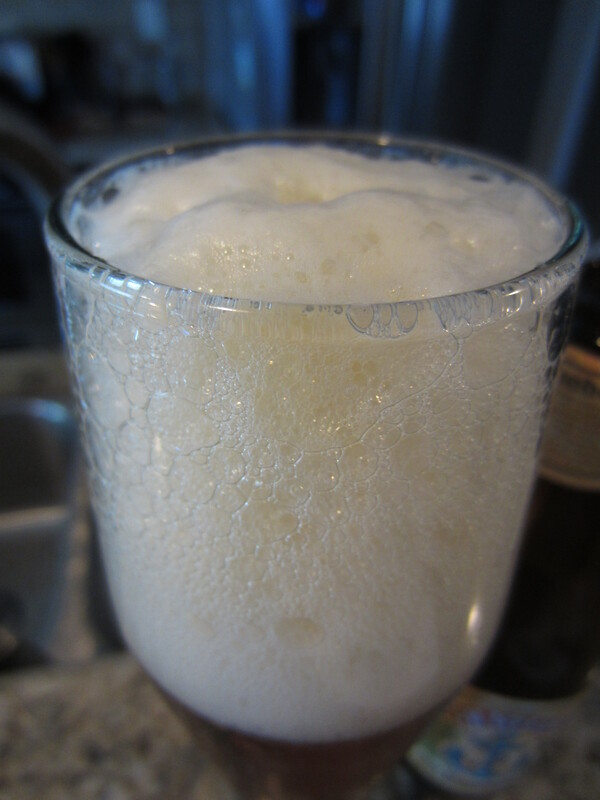 A large, slightly off-white head is poured (which was likely accentuated by an aggressive pour into the glass), which dissipates to a thin covering and leaves light lacing. 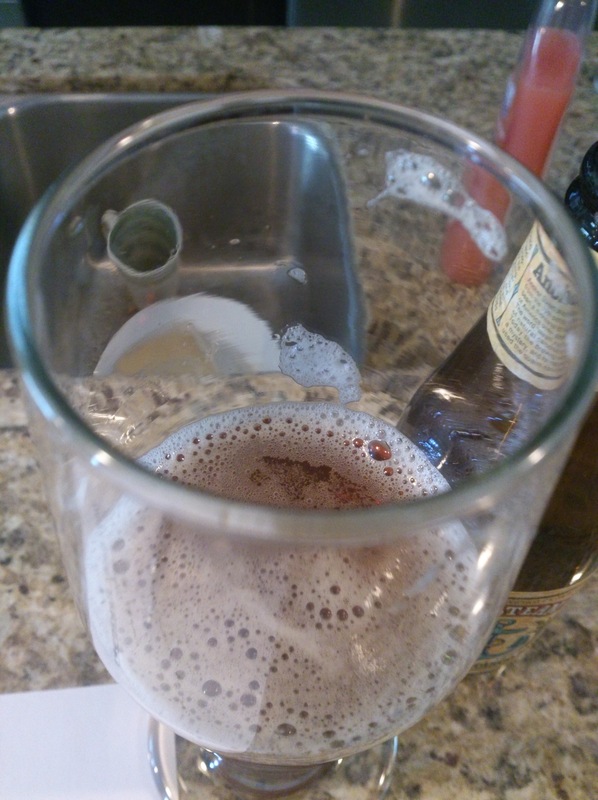 Surprisingly little carbonation is visible for a lager-ish beer. The aromas are light, smelling like a sessionable summer beer, sans the use of adjuncts used by most macro lagers. Present are bread/crackery notes from the base malts, as well as some lemon citrus and grassy tones. 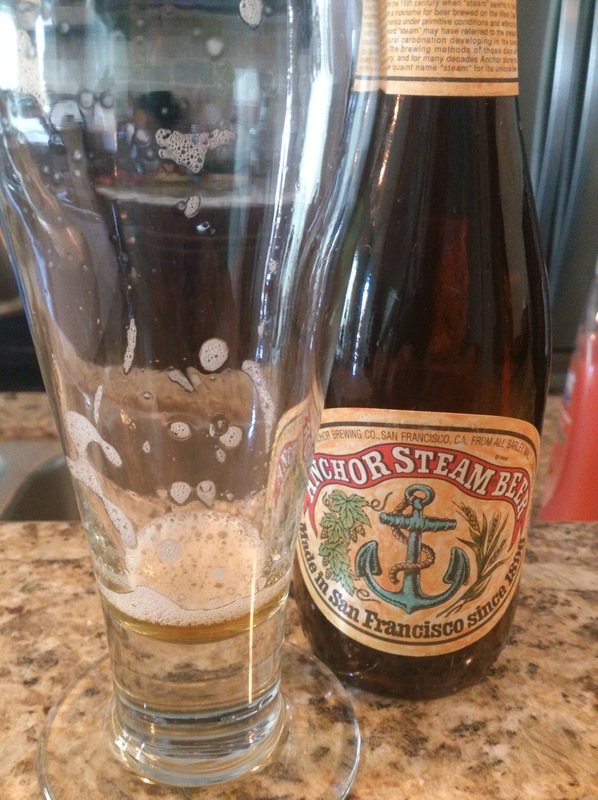 Anchor Steam has a medium-thin body, and has an easy mouthfeel that offers just light carbonation pep and faint hop bitterness. The flavors match the nose pretty spot on; slightly sweet cracker/grainy malts mixed with a bit of lemongrass citrus, which lingers lightly on the palate. 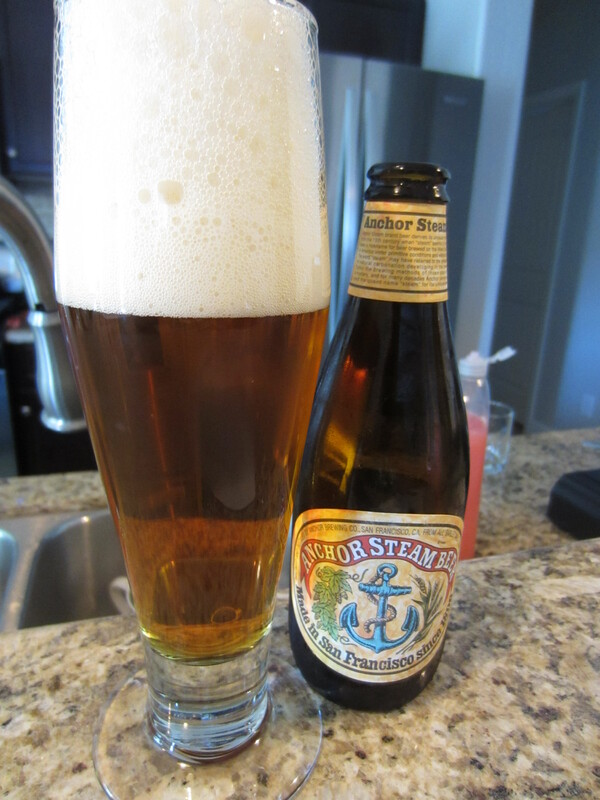 This entry was posted in Beer Reviews, Lager/Pilsener. Bookmark the permalink.